As the road trip heads west the terrain becomes even more dramatic and mountainous. But my draw to Southwest Montana goes much deeper than just the beauty, but it comes from the history that lies in the region. As I spent four days of the Montana Spring Road Trip in this region it was amazing to see history come alive from the old territorial capital of Virginia City to the current state capital or Helena. My journey started from Bozeman as I made my way through Bear Trap Canyon on the way to Virginia City. As I passed through Ennis I couldn’t help but stop into one of my favorite Montana Distilleries, Willies’ Distillery to buy a bottle of Bighorn Bourbon. I then met up with friend and model, Rachel Halverson, who was going to join me for the four-day tour across Southwest Montana. We kicked off the historic tour in Nevada City just a few minutes away from Virginia City. It felt as though we transported back in time and that the town hadn’t changed a bit since it’s heyday in the 1800s. 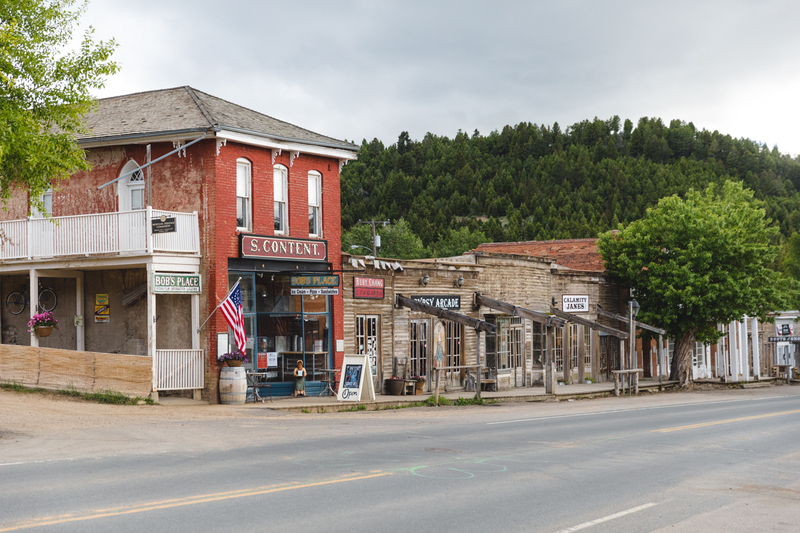 Back in Virginia City, it feels less like a museum, and more like a living piece of history. From the candy shops to the saloons, the town is an interesting mix of buildings preserved like they once were alongside actual businesses. After the sun went down Rachel and I were able to take a private ghost tour around town. As we strolled the town we learned of the rich history and vigilante justice that took part in this town and heard the stories of the ghosts still believed to haunt these grounds. Upon arrival at the Bonanza Inn, we learned that it is considered one of the most haunted buildings in all of the town, an intriguing fact as we were set to stay in this haunted infirmary turned hotel. That night was full of weird sounds and unexplained events, but I loved every minute of it. The following morning, we embarked to Philipsburg, Montana, which excited me simply so I could finally visit the Philipsburg Brewery. By far one of the coolest buildings for a brewery to be in, this brewery is located in the old bank build in the 1880s. But the town had a lot more to offer than just the brewery. 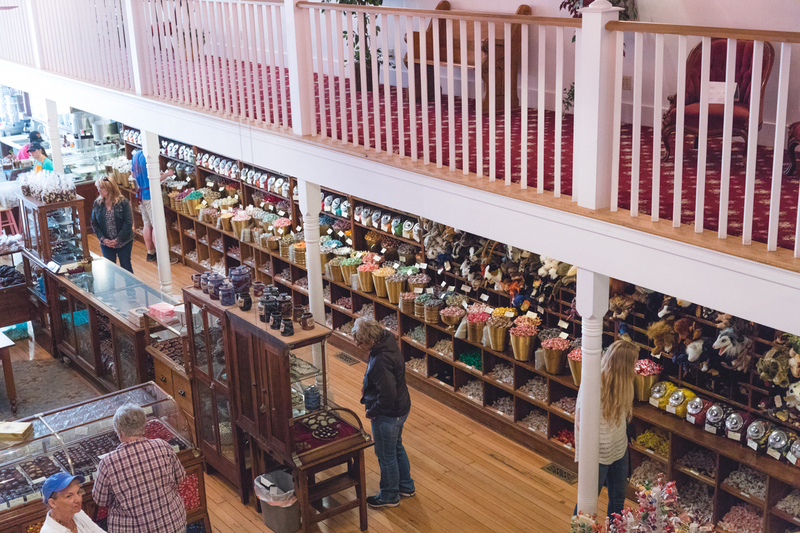 The famous Sweet Palace is a massive candy store where taffy is still made the old-fashioned way. Our day exploring Philipsburg was concluded with a trip to Montana Gems of Philipsburg to hunt for my retirement plan… err I mean Montana Sapphires. 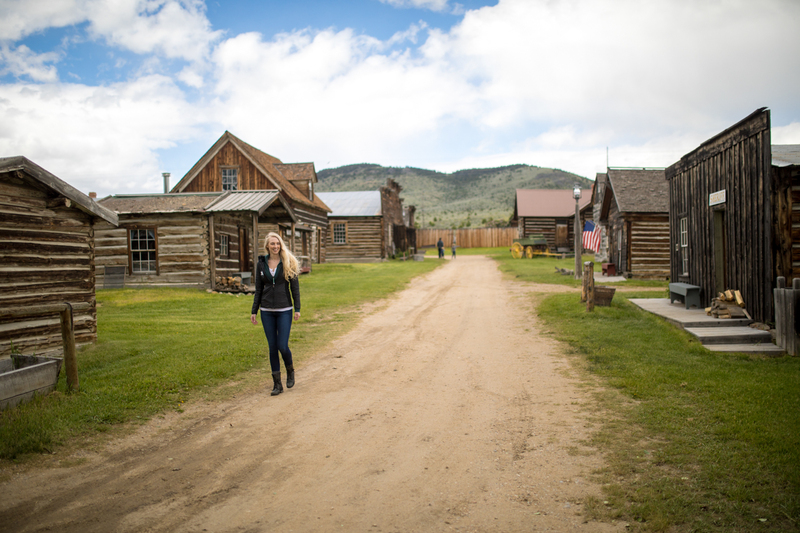 After pocketing a few sapphires we headed out to shoot sunset in a lesser known ghost town, Granite Ghost Town. A narrow winding road lead us to a true ghost town, where here there was no preservation in place. Instead, you find the remnants of an old ghost town that has been left to let nature reclaim its mountain. It was a beautiful contrast against the perfectly preserved ghost towns of Virginia City and Nevada City. Due to a campground closure near Philipsburg we ended up camping on Georgetown Lake and that decision paid off greatly. 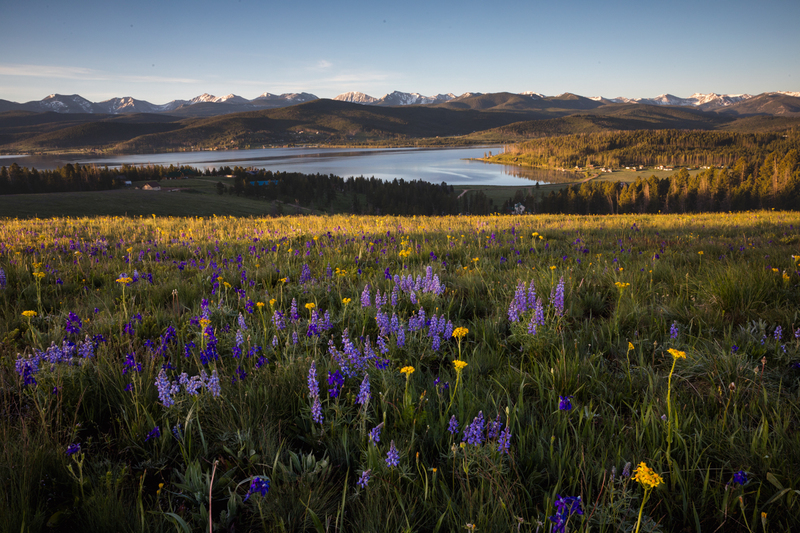 The following morning I headed out to catch a sunrise above the lake, and I was greeted with fields of endless wildflowers, a black bear sow and cubs, and even a moose! Wasting no time we left from Georgetown after sunrise to explore a full day in Butte. When I lived on the road for two years, Butte had become like a second home. The amazing scenery surrounding combined with rich history always had me returning. 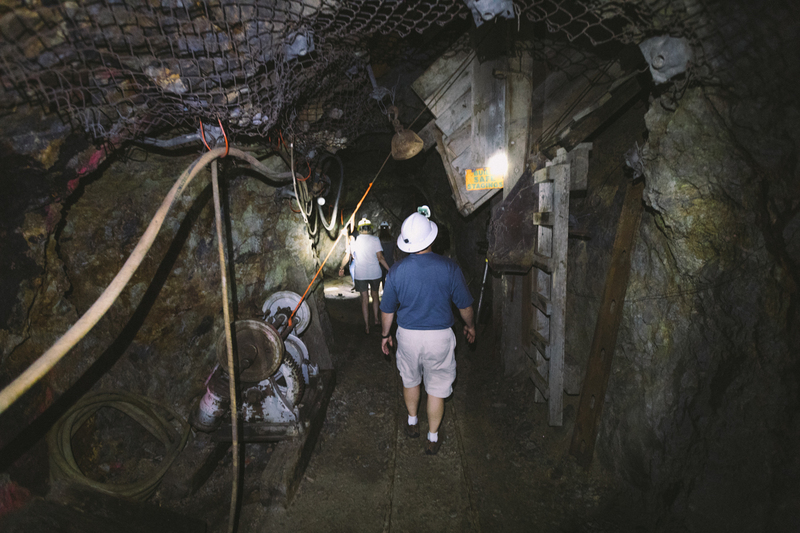 To kick off the morning we descended 100 feet below the Orphan Girl headframe as part of an exhibit at the World Museum of Mining. A day spent exploring the history of Butte was only complemented delicious cocktails at Headframe Spirits (I went with a Huckleberry Smash: bourbon, homemade vanilla syrup, huckleberry purée, orange, lime, and topped with club soda). Finishing out the evening I was granted special access to check out the wheelhouse in one of Butte’s famous headframes. It was a welcome “home” that left me smiling all night. Finishing out Montana’s history filled region was the current capital, Helena. Despite not having spent too much time here, I’ve always loved the vibe in Helena. A few detours were had on the way, including the Boulder Hot Springs, a hotel built in the 1860s to cater to weary ranchers and miners. My original plan was to stop in to take a few photos and be on my way, but the woman working said I was only allowed to take photos if I put my swim suit on and experienced the hot spring for myself. Well that is a sacrifice I’ll happily take… for the photos of course. A day spent wandering Helena’s Walking Mall was lined with happy families and business people alike. 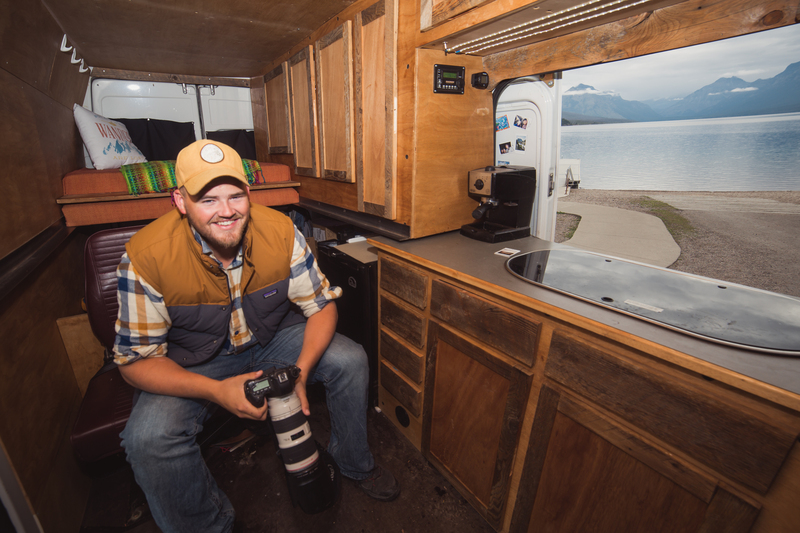 As the day and my time in Southwest Montana grew to a close I wanted to celebrate an amazing four days with a bang, so I called up fellow photographer and Helena resident, Hunter Day. He met me at the trailhead for Mount Ascension just minutes from downtown and we headed up the mountain. In no time at all we were standing atop Mount Ascension overlooking downtown, the famous cathedral, and Sleeping Giant Mountain off in the distance. 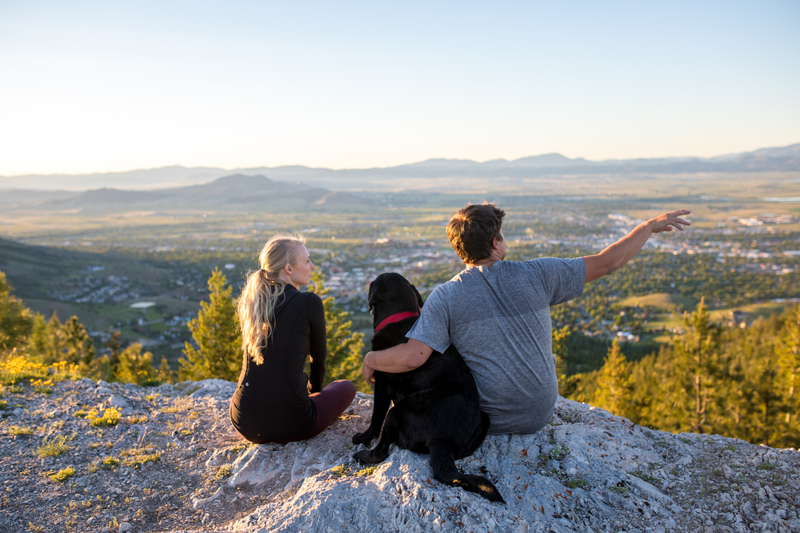 We cracked some “summit sodas” from Lewis and Clark Brewing in Helena and watched the sun drop behind Mount Helena. As a lover of history this trip only furthered my interest in the region. As with many of the regions I left with a thirst for more in that area. Next up in the Spring Road Trip series will be Missoula! Stay tuned! Check out this map of my roadtrip! Southwest Montana is on the map as 7,8,9, and 10!